Thursday marks the start of a series of public meetings that will focus on plans from Maryland Gov. 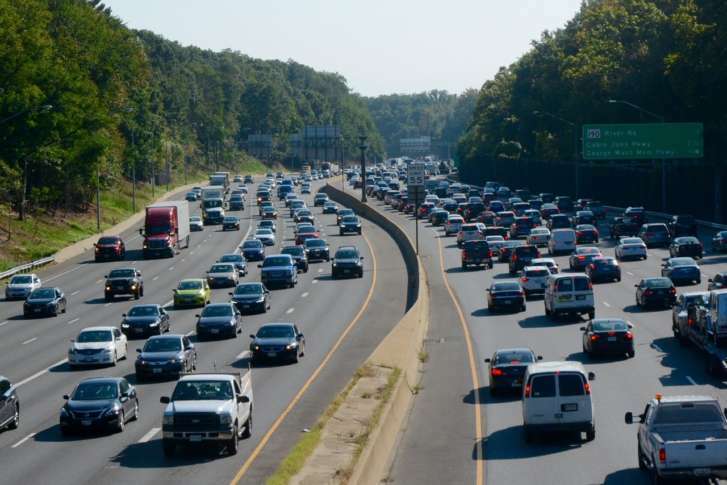 Larry Hogan’s administration to add toll lanes to parts of the Capital Beltway and Interstate 270 in Montgomery and Prince George's counties. The meetings, hosted by Maryland’s Department of Transportation, are meant to provide information and give members of the public a chance to share their thoughts. There will be six such workshops held throughout April and two more in May. The first one is set for Thursday night at the Prince George’s Sports and Learning Complex in Landover. There will be another one Saturday morning and afternoon at Pyle Middle School in Bethesda. A list of seven proposals is under review in the study, including various plans to add Express Toll Lanes or High Occupancy/Toll Lanes to the highways. On Express Toll Lanes, toll prices can vary based on the time of day or on actual traffic conditions. High Occupancy/Toll Lanes, on the other hand, are free to High Occupancy Vehicles while lower occupancy vehicles can use them by paying a toll. “This study aims to provide a solution that addresses congestion, improves trip reliability, and enhances existing and planned mobility and connectivity for other modes of travel, including transit,” said the transportation department. During the public meetings, a team with the transportation department will guide attendees through workshop materials that will include informational displays, handouts, and interactive and hard copy mapping. Staff members will be on hand to answer questions, and public comments will be accepted both at the workshops and online.